Come and get it before it&apos;s gone! Charming, well-kept townhouse in a great location. This one will go quickly and is just waiting for your personal touch! All appliances to remain and flooring in excellent condition throughout. 2 inch blinds on the windows and high ceilings plus fans in each bedroom. Open floor plan combines dining room with living area and leads out to private screened in porch, complete with fan and flower boxes. Kitchen also includes quaint breakfast nook. Laundry located upstairs for your convenience. Both bedrooms have full baths and ample closet space. 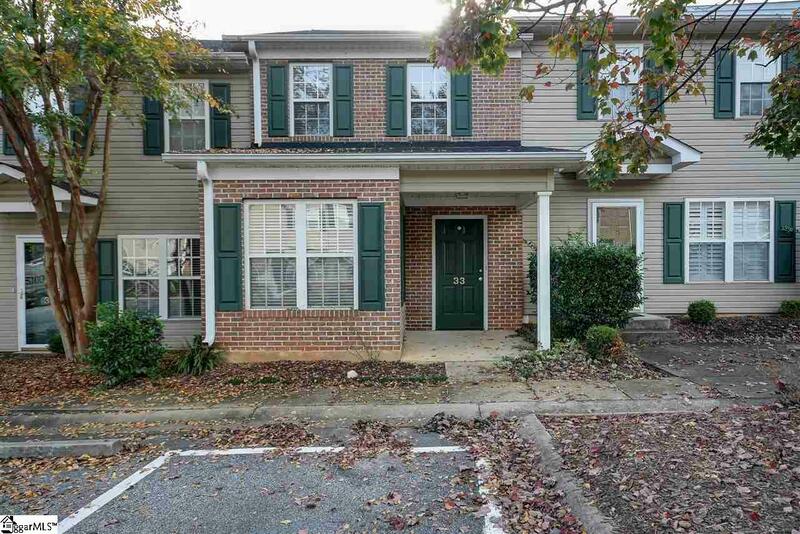 Convenient to I-385, Woodruff Rd and Mauldin/Simpsonville shopping and dining.